Hornady's V-Max Bullets feature a polymer tip which enhances accuracy and promotes devastating expansion. 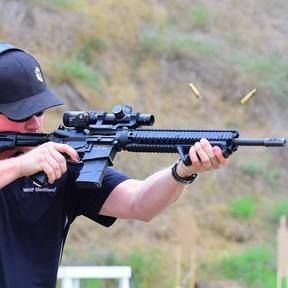 The tip raises the ballistic coefficient for faster velocity and helps to stabilize the bullet in flight. It also acts as a wedge, initiating bullet expansion. The copper jacket provides the necessary bearing surface for maximum stability out of the barrel, and the jacket is built to withstand the fast twist rates of the most advanced varmint rifles. 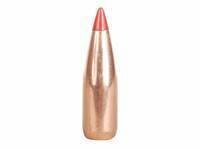 The 53 grain bullet features the same ogive as the 75 Grain Hornady V-Max bullet. A 1 in 12" twist rate or faster is recommended for optimal performance. This is not loaded ammunition.